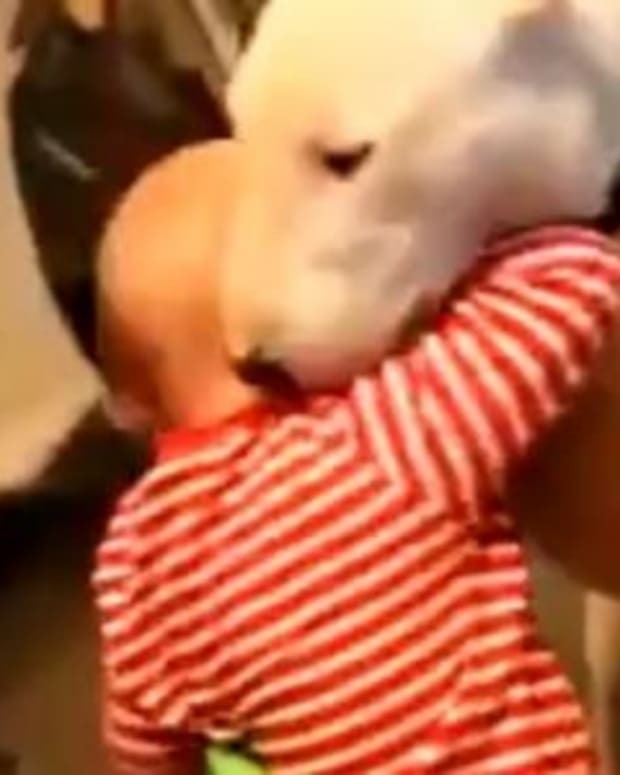 Disturbing video of a dog biting at a baby’s head went viral. 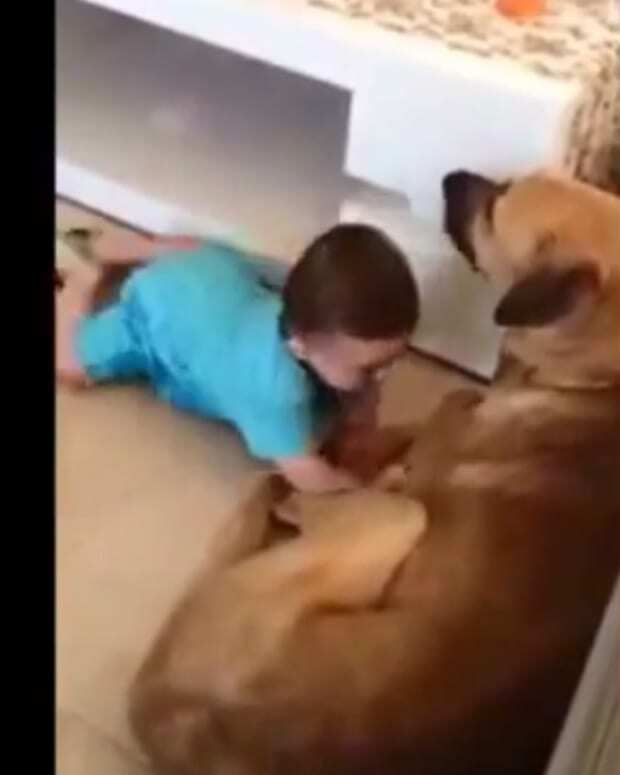 In the video (below), the baby was next to the dog, playing with its tail while the mother recorded the video. As the baby began to grab at the dog’s legs and stomach, the dog started to display warning signs through its tense body language. 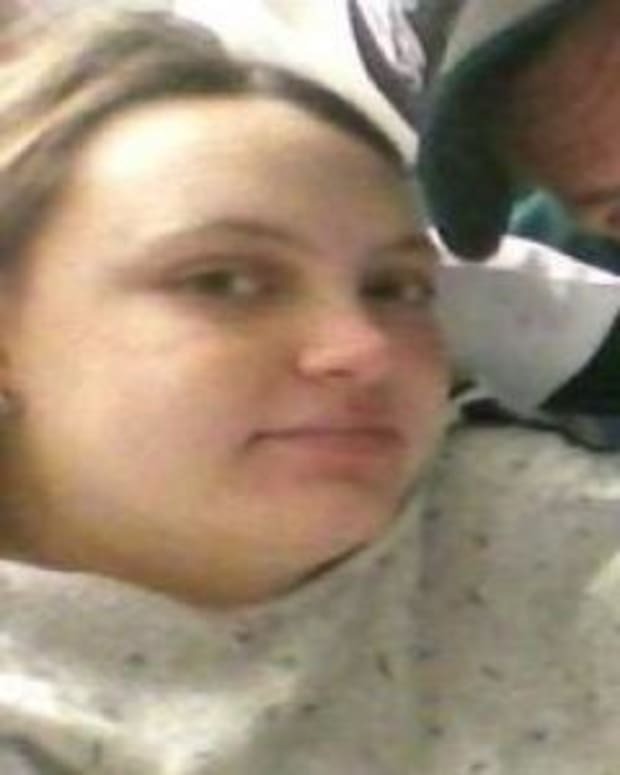 The baby then grabbed a portion of the dog’s body, prompting the agitated dog to snap at the baby’s head. 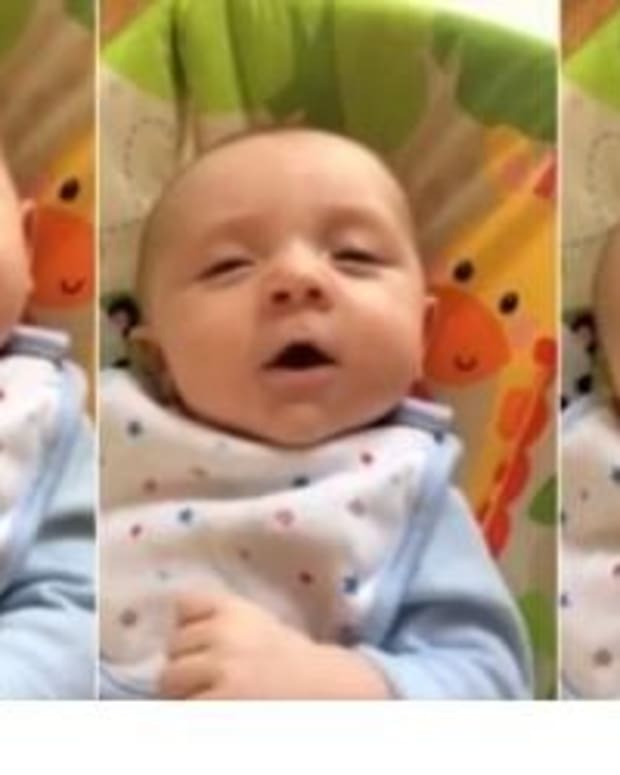 The infant then began crying, and the mother let out a panicked scream. She quickly threw the camera down to tend to her frightened child. Response to the video was highly critical of the mother’s decision to let the baby play with the dog. 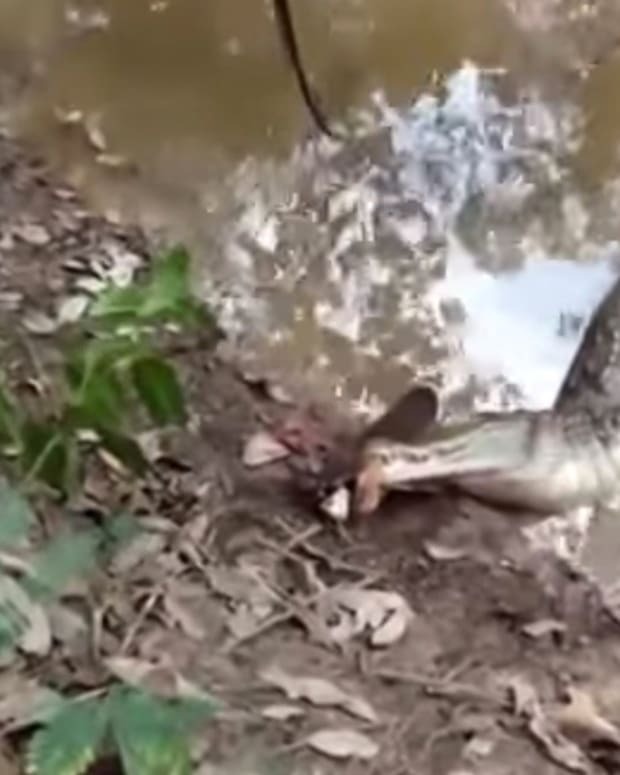 “Kind of obvious the dog wasn&apos;t digging it,” one viewer commented on LiveLeak. “Parents / Guardian&apos;s fault. Any good dog owner knows not to let this situation happen in the first place. 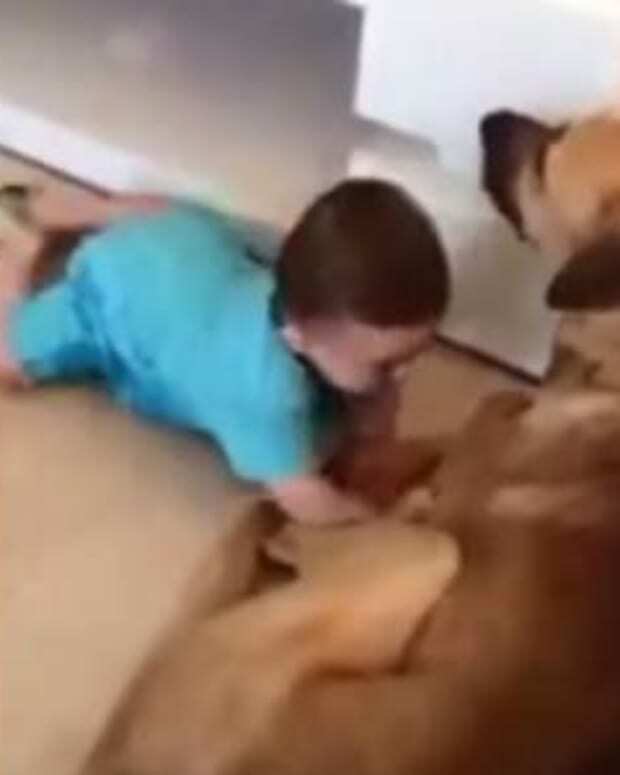 A baby/child should NOT be allowed to freely tug at/climb on a dog,” another viewer wrote. Watch the terrifying moment below.